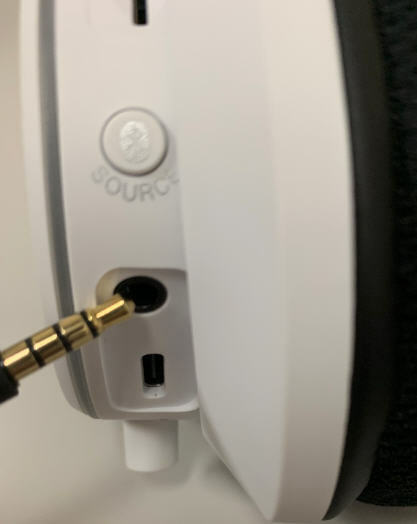 Insert the bundled 3.5mm audio cable into the Aux/Line-in jack of the SXFI AIR. 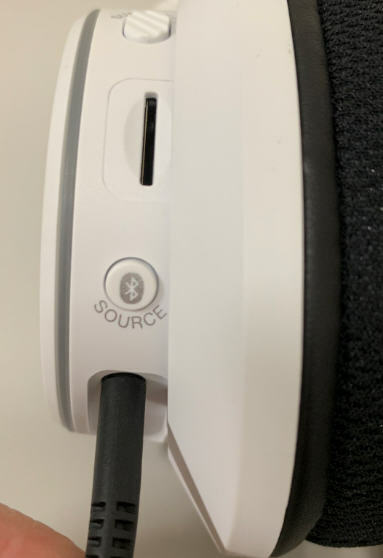 The other end of the cable can be connected to the Headphone out of another device. 2. Ensure that the cable is securely connected. The volume gesture controls will still work in Aux-In Mode but all other gesture controls will be disabled. Super X-Fi can still be used in Aux-In Mode.